Aquatek portable, digital conductivity meter. It is ideal for beginners and professionals as well. It can be used by gardeners for testing watering water or hydroponic tank water for mineral content. 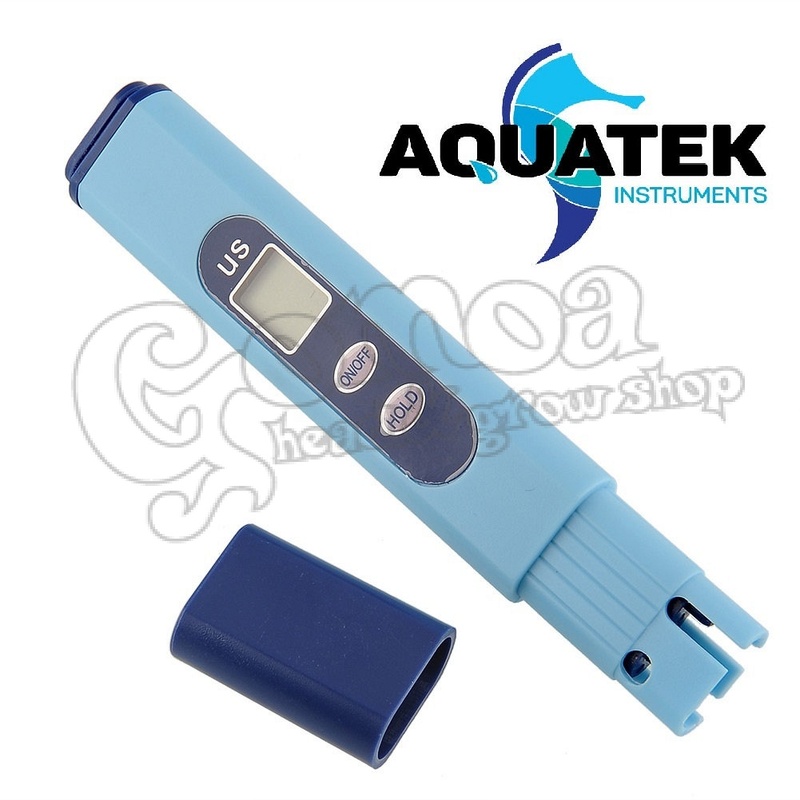 Our digital conductivity meter is also very useful for testing tap water for hardness and purity. It can be used in schools for educational purposes, or in laboratories too. Aquatek: Easy to use, easy to maintain. Instant results. imerse the electrode into the water. Be sure, that you do not cross the immerse line.